Made in Western Australia, Australia, 1922. 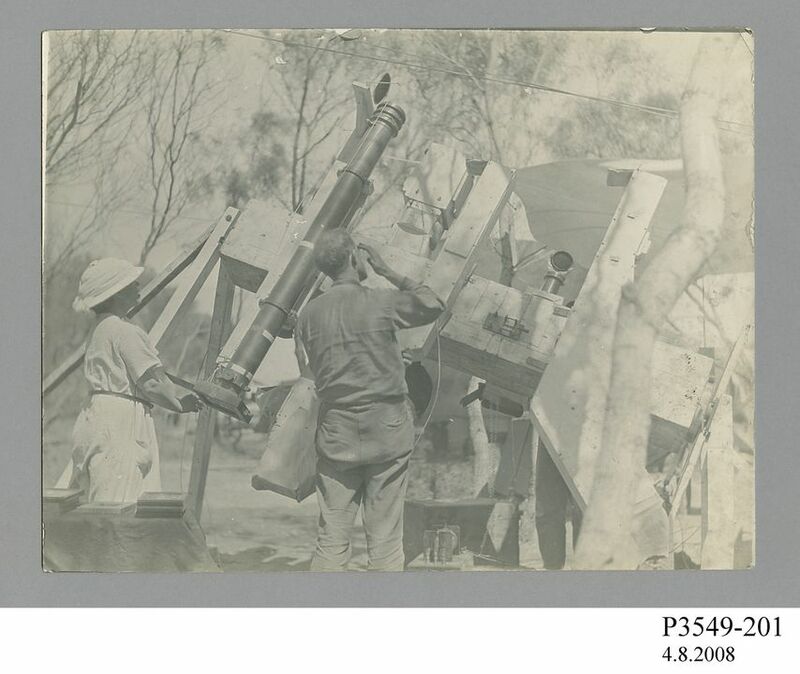 A black and white photograph showing a photoheliograph being operated by a women and a man. Trees and scrubland can be seen in the background. In pencil on the back of the photo '1/134'. Possibly taken near Wallal, Western Australia, Australia during the 1922 Lick Expedition.